Williams Family Law partner is one of Bucks County's leading divorce lawyers. Bucks County family law firm Williams Family Law, P.C. 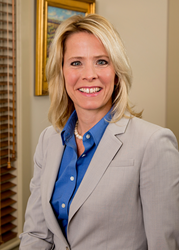 is proud to announce that partner Susan J. Smith, Esq. has been named among Ten Leaders in the Greater Philadelphia area for Divorce Law. Founded in 2002, the Ten Leaders Cooperative evaluates and promotes professionals in the areas of architecture, finance, the law, medicine, and technology. Members are inducted into Ten Leaders based on length of practice, focus of practice, and out-of-firm peer referrals. Widely regarded as one of the top divorce attorneys in Bucks and Montgomery Counties, Smith joined Williams Family Law as a partner in 2016, after years heading the Family Law group at Fox Rothschild’s Bucks County office in Warrington, Pennsylvania. A graduate of Penn State’s Dickinson School of Law, Smith focuses her practice on family law and litigation. She grew up in Doylestown, graduating from Central Bucks High School West before going on to earn a bachelor’s degree from Gwynedd-Mercy College and then to law school. Recognized by ALM publications as a “Woman Leader in the Law” for 2015, Ms. Smith has been practicing family law for nearly a quarter century and has long since established herself as one of the top divorce and child custody attorneys in both Bucks County and Southeastern Pennsylvania. The Bucks County Bar Association presented her with the “Woman of the Year” award in 2010 and she has been named a Pennsylvania Super Lawyer by Thomson Reuters multiple times. Smith is admitted to practice in Pennsylvania and represents clients primarily in the greater Philadelphia area. She is a member of the Pennsylvania Bar Association and the Bucks County Bar Association. Williams Family Law, P.C. – Williams Family Law, P.C., is a premier family law firm based in Bucks County, Pa. The firm provides individuals with matrimonial and family law legal counsel and representation in alimony, child support, child custody, divorce, domestic partnership and cohabitation, grandparents’ custody rights, equitable distribution, marital settlement agreements, prenuptial and postnuptial agreements, separation agreements, spousal support, matrimonial taxation and related matters. The family law attorneys also provide guidance and representation in alternative dispute resolution forums, handling mediation, arbitration and custody dispute resolution. The practice at Williams Family Law centers on four core principles: experienced guidance, compassionate advice, powerful advocacy and knowledge of the local courts and counsel. The firm prides itself on leadership within the profession and a strong record of success. To learn more, visit http://www.bucksfamilylawyers.com or email questions(at)bucksfamilylawyers.com.